The following procedures help you install an Apache web server with PHP and MySQL support on your Amazon Linux instance (sometimes called a LAMP web server or LAMP stack). You can use this server to host a static website or deploy a dynamic PHP application that reads and writes information to a database. To set up a LAMP web server on Amazon Linux 2, see Tutorial: Install a LAMP Web Server on Amazon Linux 2. If you are trying to set up a LAMP web server on an Ubuntu or Red Hat Enterprise Linux instance, this tutorial will not work for you. For more information about other distributions, see their specific documentation. For information about LAMP web servers on Ubuntu, see the Ubuntu community documentation ApacheMySQLPHPtopic. This tutorial assumes that you have already launched a new instance using the Amazon Linux AMI, with a public DNS name that is reachable from the internet. For more information, see Step 1: Launch an Instance. You must also have configured your security group to allow SSH (port 22), HTTP (port 80), and HTTPS (port 443) connections. For more information about these prerequisites, see Setting Up with Amazon EC2. Now that your instance is current, you can install the Apache web server, MySQL, and PHP software packages. The chkconfig command does not provide any confirmation message when you successfully use it to enable a service. This test page appears only when there is no content in /var/www/html. When you add content to the document root, your content appears at the public DNS address of your instance instead of this test page. To allow the ec2-user account to manipulate files in this directory, you must modify the ownership and permissions of the directory. There are many ways to accomplish this task. In this tutorial, you add the ec2-user user to the apache group, to give the apache group ownership of the /var/www directory and assign write permissions to the group. Now, the ec2-user user (and any future members of the apache group) can add, delete, and edit files in the Apache document root. Now you are ready to add content, such as a static website or a PHP application. If you do not see this page, verify that the /var/www/html/phpinfo.php file was created properly in the previous step. You can also verify that all of the required packages were installed with the following command. The package versions in the second column do not need to match this example output. If any of the required packages are not listed in your output, install them using the sudo yum install package command. The default installation of the MySQL server has several features that are great for testing and development, but they should be disabled or removed for production servers. The mysql_secure_installation command walks you through the process of setting a root password and removing the insecure features from your installation. Even if you are not planning on using the MySQL server, we recommend performing this procedure. Type Y to set a password, and type a secure password twice. For more information about creating a secure password, see http://www.pctools.com/guides/password/. Make sure to store this password in a safe place. (Optional) If you do not plan to use the MySQL server right away, stop it. You can restart it when you need it again. (Optional) If you want the MySQL server to start at every boot, type the following command. The Amazon Linux package management system does not currently support the automatic installation of phpMyAdmin in a PHP 7 environment. 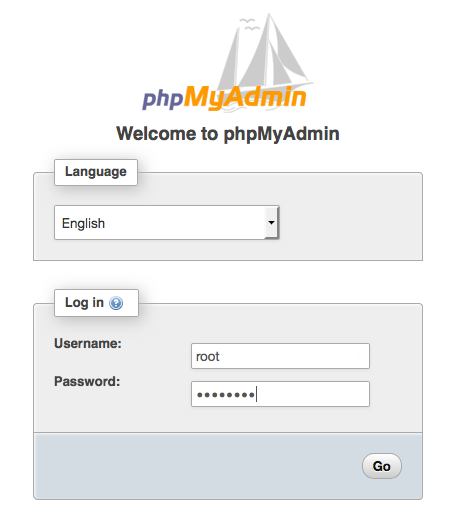 This tutorial describes how to install phpMyAdmin manually. Log in to your EC2 instance using SSH. Extract the package and change the name of the resulting directory to something more manageable. I can’t connect to my server using a web browser. If the httpd process is not running, repeat the steps described in To install and start the LAMP web server with the Amazon Linux AMI. This tutorial recommends installing the most up-to-date versions of Apache HTTP Server, PHP, and MySQL. Before installing an additional LAMP application, check its requirements to confirm that it is compatible with your installed environment. If the latest version of PHP is not supported, it is possible (and entirely safe) to downgrade to an earlier supported configuration. You can also install more than one version of PHP in parallel, which solves certain compatibility problems with a minimum of effort. For information about configuring a preference among multiple installed PHP versions, see Amazon Linux AMI 2016.09 Release Notes. Now you can install the latest packages, as described earlier.